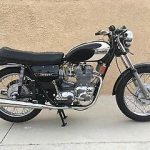 Restored 1971 Triumph Trident Motorcycle. 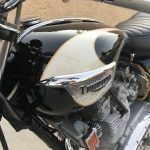 This fantastic Triumph was restored by its owner. 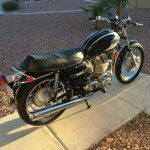 The bike was completely dismantled and all of the frame parts and tinware were media blasted. 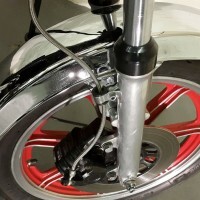 The fenders, tank and side covers were professionally painted in the original colour scheme. 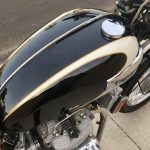 The frame, swingarm and all other parts were painted in gloss single stage black. 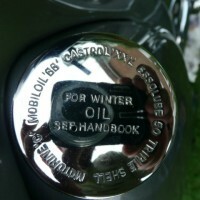 All of the chrome parts were plated including the original rims and the original exhaust manifold. 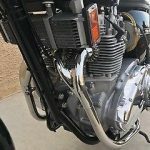 New exhaust down pipes and mufflers were installed. 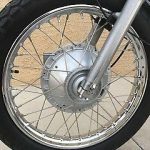 The wheel rims were laced with stainless steel spokes. The brake shoes were relined. New wheel bearings were installed. 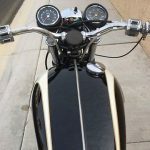 The engine and transmission were completely dismantled and professionally rebuilt. New pistons, rings, valves and springs were installed. The main and rod bearings were replaced. All of the seals and gaskets were replaced. 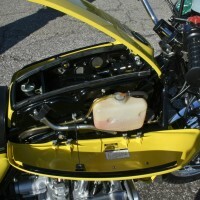 Three new Amal carburettors were installed. The gearbox was dismantled and the bushings, bearings and seals were replaced. A new clutch assembly was installed. A new headlight shell was fitted. 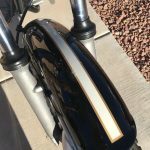 The original handlebar switches were cleaned and reused. 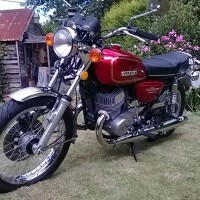 Another great classic motorcycle restored to a very high standard. 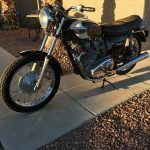 Triumph Trident – 1971 For Sale or Wanted? 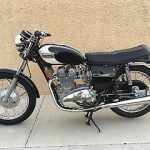 If you're looking for the perfect Triumph Trident – 1971 for sale then take a look at the hundreds of restored classic motorcycles listed on our extensive Motorcycles For Sale pages. 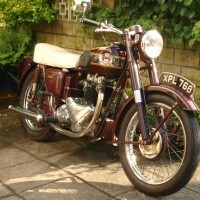 We regularly feature very nice restored Triumph Trident – 1971 bikes for sale. 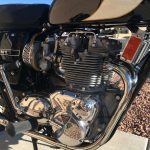 Spares and Parts for your Triumph Trident – 1971? 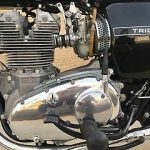 Workshop Manual for your Triumph Trident – 1971?